Varicose veins is a condition that develops in both men and women with the likelihood to affect women being a little higher due to hormonal and gender-specific factors. Sufferers of this condition experience bulging veins that are bluish or purplish in color running beneath the skin surface. Even though they are considered harmless, varicose veins can be disfiguring and painful. When inflamed, veins become tender and hinder circulation thus causing itchy skin, aching limbs and swollen ankles. 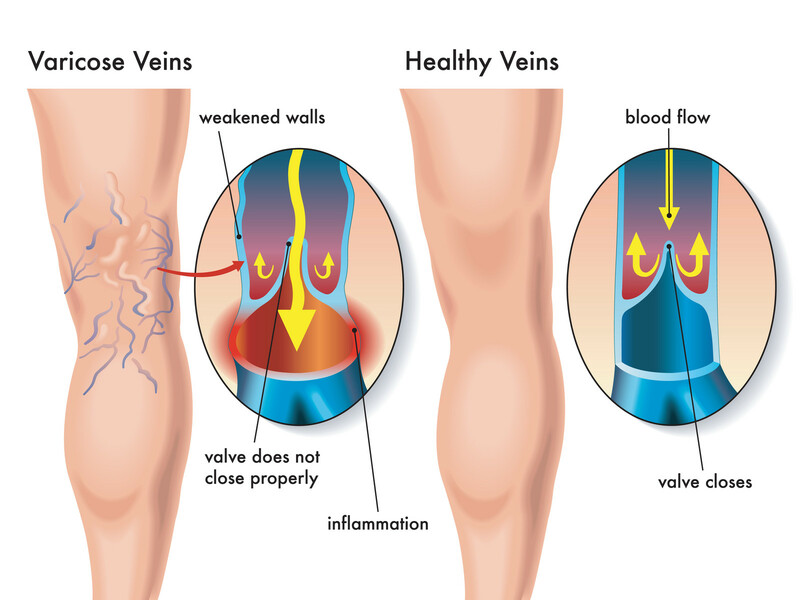 Varicose veins refer to swollen, enlarged, and tortuous veins that are commonly linked to faulty valves within the venous system. They are normally dark purple or blue in color due to stagnated or slow flowing blood. People who suffer commonly experience heavy limbs and cramping pain. In extreme cases, the varicose veins rupture causing varicose ulcers on the skin. What causes varicose veins though?